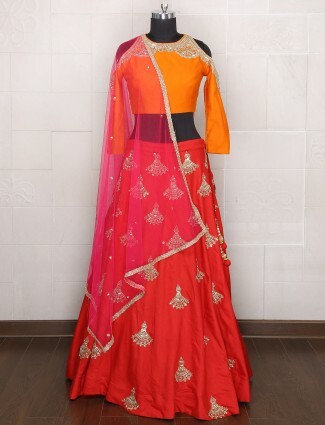 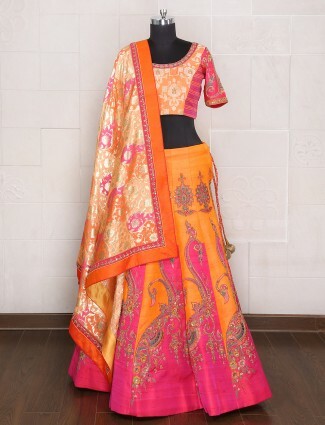 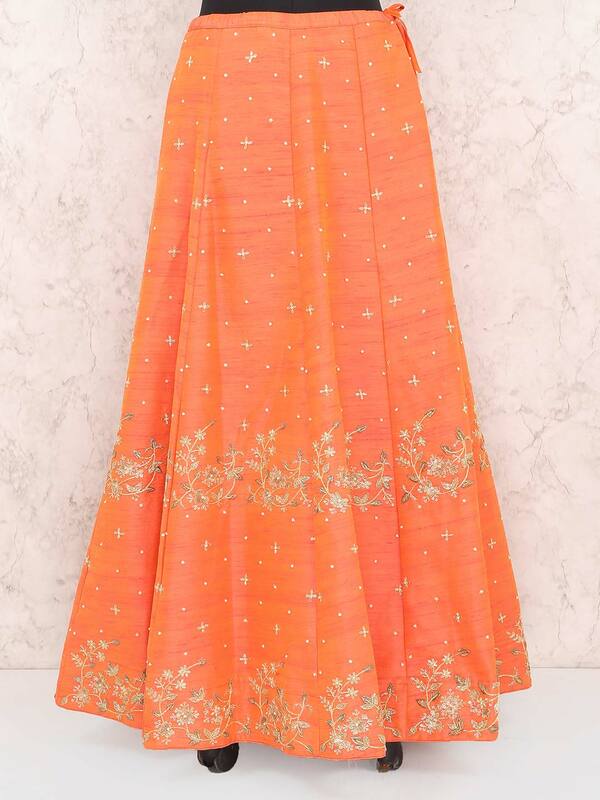 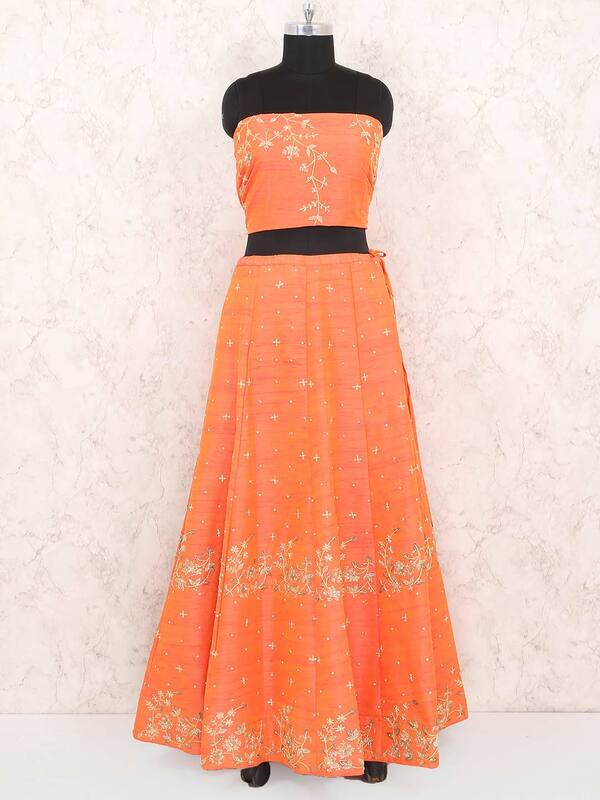 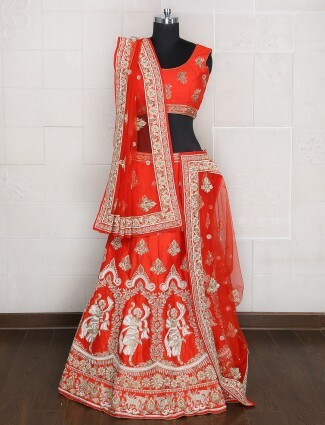 This lovely orange hue velvet semi stitched lehenga choli is a great piece to wear in festive occasion. 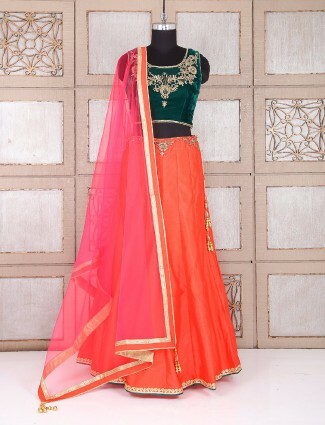 Beautify with zardosi sequins and zari work. 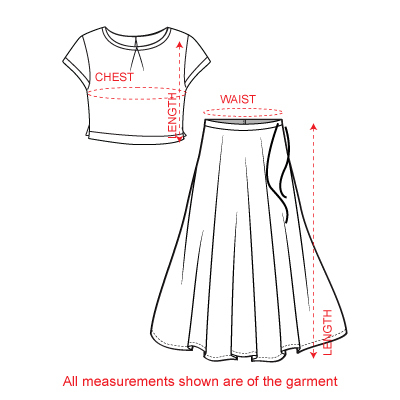 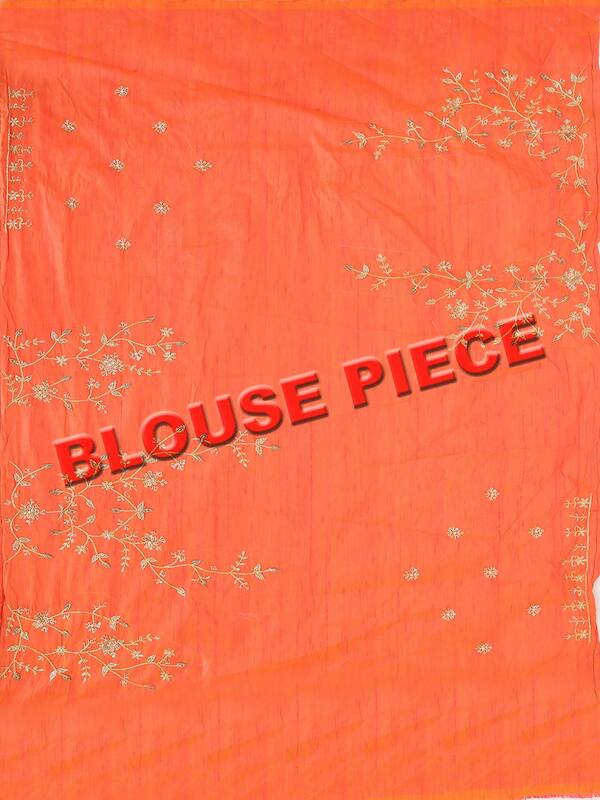 Available with unstitched blouse piece and cream dupatta.